Black-Eye Pea is a true black with fine fiber, good density, tight crimp, a soft, buttery hand and a great disposition. 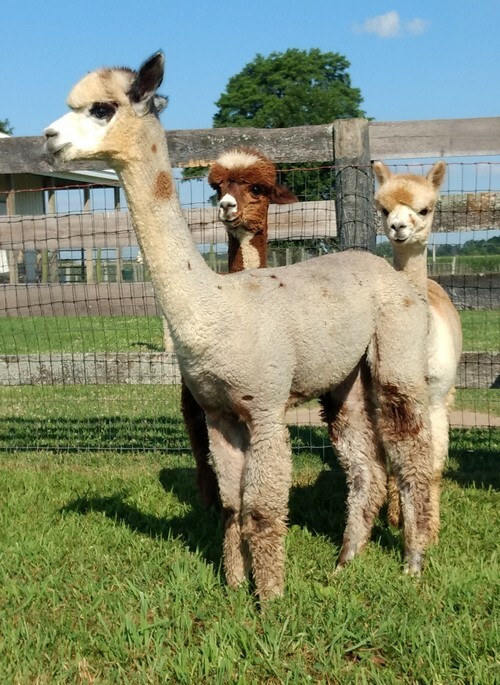 Pea was sired by Patagonia's Kaspa and her grandsire is El Padre. She definitely has density in her background. Her '07 cria was a spectacular grey female (Heatherbrook's Cutie Pea) who was a multiple winner in the '08 show ring.